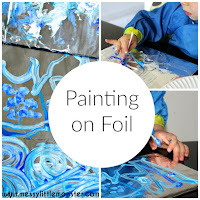 Cling film art is an easy, no mess art idea for kids. 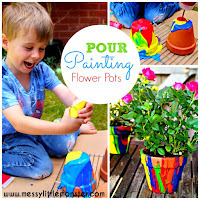 It is fascinating for little children as they can't quite work out why they aren't getting messy as they squeeze and merge the paint with their fingers. 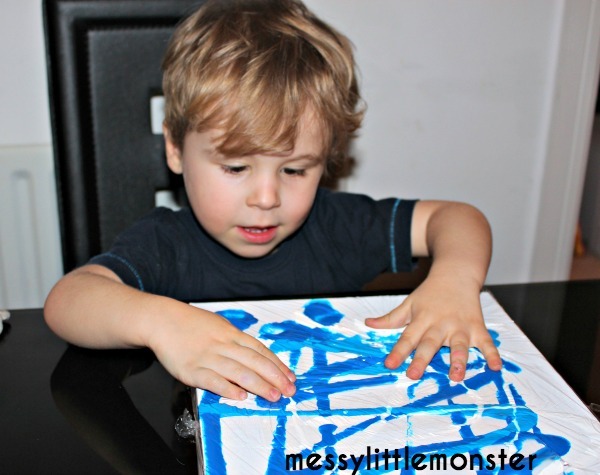 Toddlers and preschoolers will love using this painting technique to create their own piece of unique artwork. 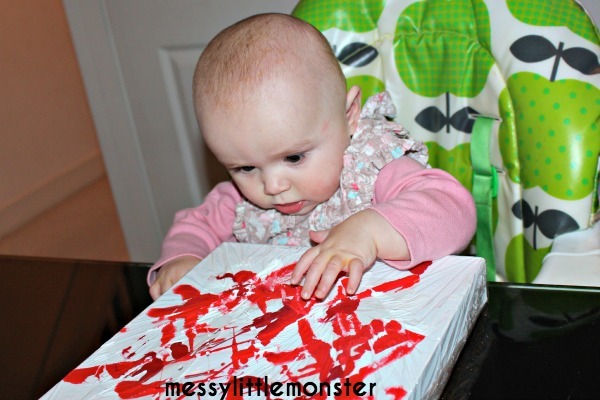 Babies as young as 6 months will enjoy joining in with this fun painting activity. Are you looking for more fun art ideas? We love trying out new painting activities. 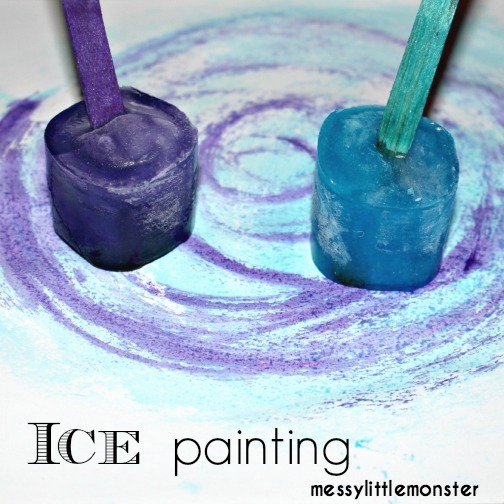 Take a look at our taste safe ice painting, painting on foil, DIY bath paints and water pistol painting. 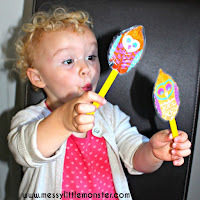 Babies and young children love putting everything into their mouths so the idea of no mess painting is very appealing and perfect for little ones. The artwork produced from these canvases is totally unique and it looks really effective. 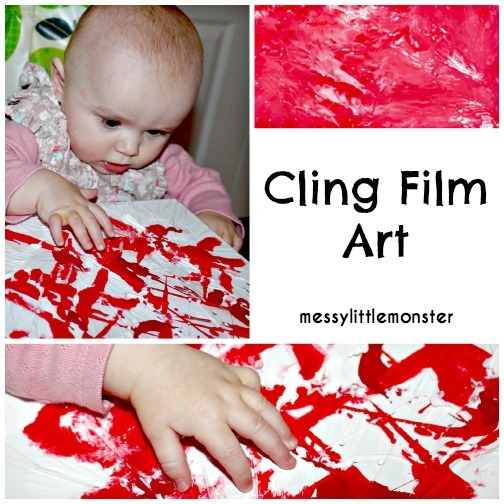 No mess cling film (or plastic wrap) painting is ideal for a babies first painting. 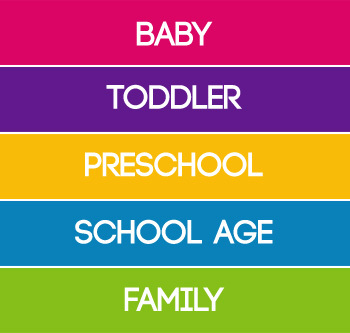 Children can choose their own colours or a few select colours can be chosen. It would be nice to use a child's favourite colours, colours that matched a bedroom or 2 or 3 contrasting colours. 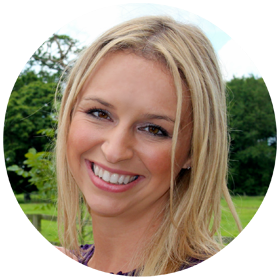 Start by squeezing paint onto your card or canvas in your chosen colours. I like to pick 2 or 3 colours to work with. 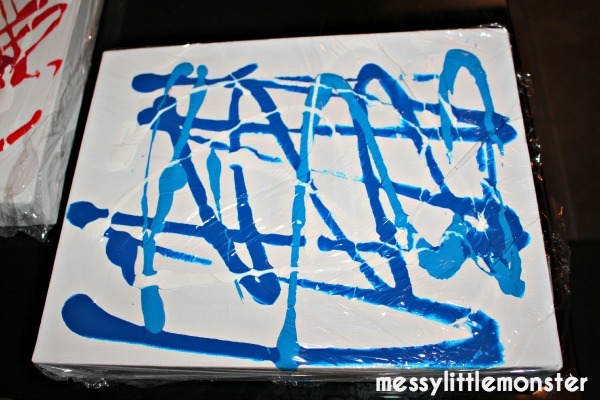 Carefully cover your paint with some cling film and wrap it around the card or canvas. Tape the cling film in place. 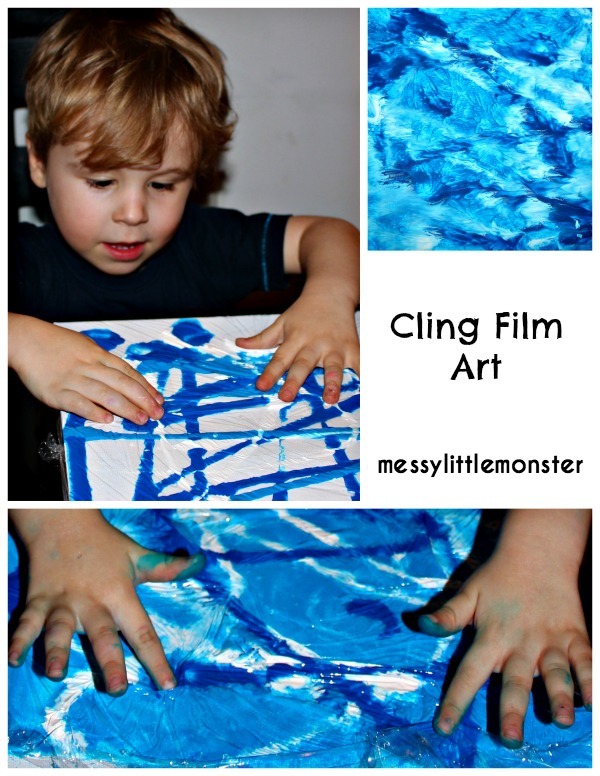 TIP- Adding a second layer of cling film over the paint will help to prevent any holes being made in the cling film by extra eager children. 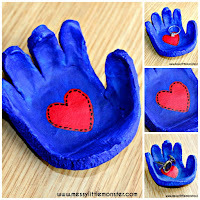 Now get squashing, squeezing and merging the paint with your fingers or hands! This part is so much fun! 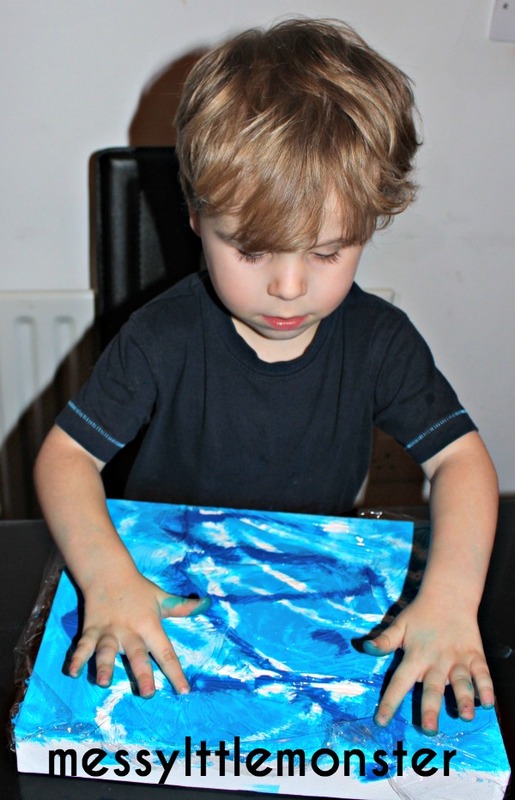 Harry (aged 3) started really carefully with his finger tips, but quickly got into spreading the paint over the canvas with his whole hands. Once he had finished he decided he wanted to do it again. We took the cling film off, squirted on some more paint, added a new piece of cling film and off he went again. Daisy (6 months) loved being involved in this activity and I didn't have to worry about her trying to put the paint in her mouth. When we had finished painting we carefully removed the cling film and left our paintings to dry. I love our new wall art. It would be fun to try out different colour combinations. 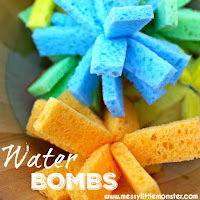 I love the bright colours used by Arty Crafty Kids. 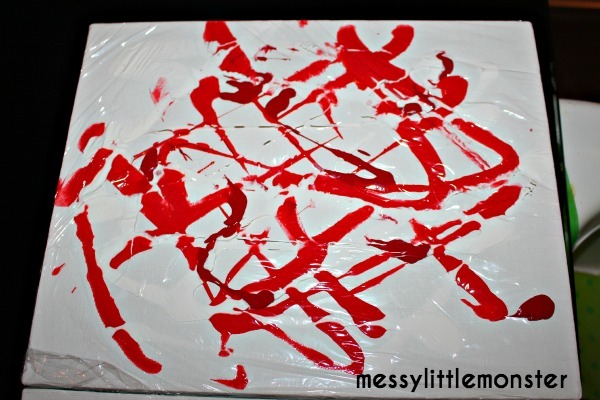 Take a look at how they did this activity on card instead of using a canvas.